Try these Royal Potatoes on any day of the week to create a special dish from a humble vegetable.These tiny roasted potatoes absorb the Butter Chicken sauce really well and burst with flavour in every bite. Bring potatoes to boil in water with 1 tsp salt. Once the water is boiling, turn the heat to low and cook covered for 5 minutes. Potatoes should be tender now, drain the water. In a baking dish add 2 tbsp oil and potatoes, make sure they are coated well. Roast for about 30 minutes, checking and turning with a spatula every 10 minutes. 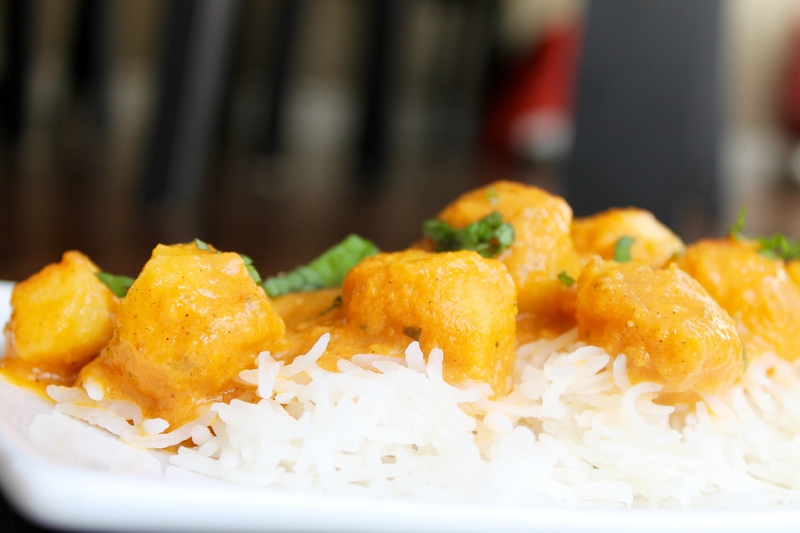 When potatoes are done, add them to a pan with 1 jar of Butter Chicken Sauce and 1/4 cup water. Cook for 5 minutes and then serve warm with rice, quinoa or naan.